The surface of the Sun: The sun has a rigid iron surface located under the photosphere that is revealed by satellite imagery. The solar surface sits beneath the sun's visible photosphere and is electrically active. 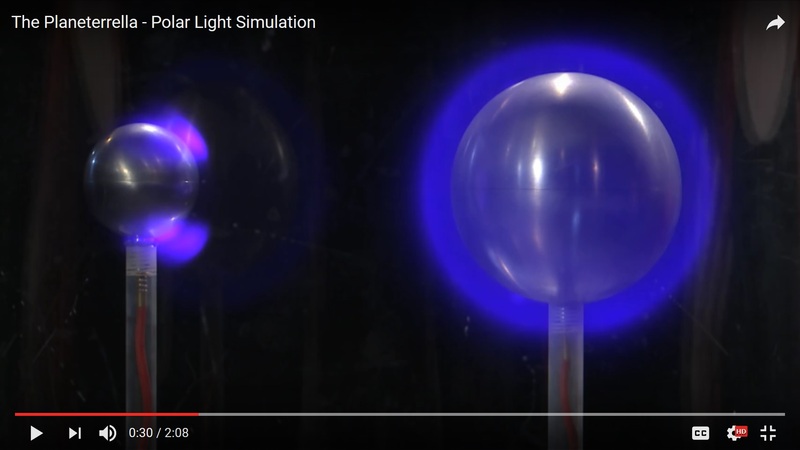 The University of Leicester has been kind enough to produce an excellent two minute video that describes the Birkeland cathode solar model that is described on this website. It explains the heat source of the solar corona, as well as the Earth's aurora, and it empirically demonstrates the electrical interaction between the sun and the Earth. The sun's photosphere is often mistakenly referred to as the surface of the sun. In reality however, the sun's photosphere is only a "liquid-like" plasma double layer made of mostly neon which covers the actual surface of the sun. That bright visible layer that we see with our eyes is composed of penumbral filaments that are several hundred kilometers deep. This visible neon plasma layer that we call the photosphere, and a thicker, more dense atmospheric layer composed of silicon plasma, entirely covers the actual rocky, calcium ferrite surface layer of the sun. The visible photosphere covers the actual surface of the sun, much as the earth's oceans cover most of the surface of the earth. In this case the sun's photosphere is very bright and we cannot see the darker, more rigid surface features below the photosphere without the aid of satellite technology. The composition and mechanical inner workings of the sun beneath the visible photosphere have remained an enigma for thousands of years. There are a whole host of unexplained phenomena related to the sun's activities that still baffle gas model theorists to this day because they fail to recognize the existence of an iron alloy transitional layer that rests beneath the visible photosphere. Fortunately a host of new satellites and the field of heliosiesmology are starting to shed new light on this mysterious "stratification subsurface" layer of the sun that is located about 4800km beneath the visible photosphere. In addition, recent studies of solar wind suggest that solar wind also originates on the same transition layer under the photosphere as do the electrically charged coronal loops. NASA's SOHO satellite and the Trace satellite program have both imaged this transition layer of the sun that sits beneath the photosphere. These 21st century satellites and technologies now enable us to peer behind the outer plasma layers of the chromosphere and photosphere and allow us to study the rocky, calcium ferrite transitional layer with incredible precision. Galileo was the founding father of the gas model theory of the sun. He observed the sun through a relatively primitive telescope and noticed that sunspots did not rotate uniformly across the surface of the photosphere. He also observed that this visible “surface” rotated at different speeds near the equator than it did near the poles. From his study of sunspots and their uneven rotation pattern, Galileo surmised that he must be looking at some type of gas atmosphere. He was correct in that assessment, although today we know that the photosphere is a form of hot ionized plasma. Unfortunately however, Galileo also "assumed" that no other solid layers existed, or could exist, beneath the visible layer of the photosphere. That was a critical mistake. It was a bit like looking at a world covered in water, and having no ability to see beneath the water, and then simply assuming that the whole world is made of water. Galileo did not have multimillion dollar “eyes” and Doppler imaging systems to look beneath the chaotic surface of the photosphere. Only in the past 10 years, a virtual blink of an eye in scientific terms, have we had the technology to put Galileo's assumption to the test with modern satellite observations. The Yohkoh, SOHO, Trace, RHESSI, Hinode, Stereo and Geos satellite programs give us new sets of eyes, new ways to view the sun, and new ways to peer beneath the layers of the sun that Galileo first observed. The Hubble, Chandra and Spitzer space telescopes give us eyes to peer into other solar systems and other galaxies and enable us to look back at the original structures of our universe and see our universe in all new spectrums of energy. What they reveal to us about the structure of our universe is truly breathtaking. While the gas model has enjoyed popular support over the past 50 years, that has not always been the case. In fact astronomers of 100 years ago believed in a predominantly iron sun, most notably Dr. Kristian Birkeland. Dr. Birkeland studied the Northern Lights and became interested in the electrical interaction between the sun and the earth. His early lab research with an electrified iron sphere suspended in a vacuum ("terella") led to images that are remarkably similar to modern satellite x-ray images of the sun. The bottom photo of this page shows the electrical activity that Birkeland documented in his lab next to an image from the Yohkoh satellite. The electrical arcs from the surface of both spheres is what emits the x-rays and gamma rays seen in Yohkoh and RHESSI images of the sun. The running difference imaging technique used by both NASA and Lockheed Martin have revealed to us for the first time that the sun is not simply a ball of hydrogen gas; it has a hard and rigid ferrite surface below the visible photosphere that can be seen in all of the images on this page! Each of the images was produced by NASA or Lockheed Martin so you can verify these images for yourself. An important corroboration of Dr. Birkeland's solar theories and laboratory experiments came forty years later in the work of Dr. Charles Bruce. Dr. Bruce documented a number of solar atmospheric phenomenon that were directly related to electrical discharges from the solar surface. Bruce confirmed what Birkeland had predicted nearly fifty years earlier, showing that the electrical activity was directly responsible for the high energy discharges from the solar surface. 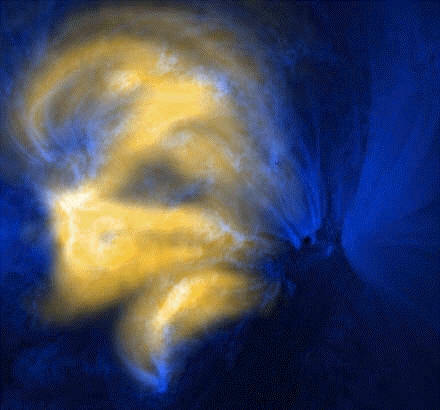 The electrical discharge nature of the coronal loops has since been confirmed by the University of Maryland. A significant corroborating set of data came a decade or so later from the work of Dr. Oliver Manuel. 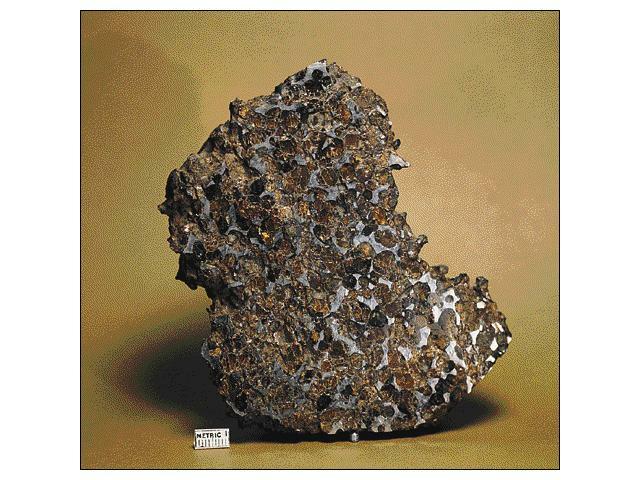 Dr. Manuel confirmed via isotope analysis of lunar soil samples, and the study of meteorites, that the sun is predominantly made of iron and mass separates the plasma in it's atmosphere. Unfortunately their hard efforts would not be visually confirmed for another three decades. It turns out however, that modern satellite images now lend very strong observational support to the electrical model of the sun originally described by Dr. Kristian Birkeland in the early 1900's and later verified by Dr. Charles Bruce and Dr. Oliver Manuel. Dr. Charles Bruce and a number of other scientists have already demonstrated the electrical nature of the sun's activities and have put forth solid surface theories of the sun based on predictions that are supported by direct observation. These models simply never gained momentum and ultimately fell out of "style" in the field of astronomy in mid to late part of the 20th century in favor of a gas model theory of the sun. Fortunately science still enjoys a small minority of dedicated scientists and maverick thinkers that have long promoted a very different, very iron rich model of the sun based on many decades of sound sweat equity, solid scientific research, and careful observation. In recent months, many of Dr. Manuel's conclusions about our sun being composed of material from a supernova remnant have been confirmed by direct evidence. It turns out that these visual observations of an iron rich surface were predicted via the field of nuclear chemistry more than three decades earlier, while the experiments to support these ideas and many mathematical predictions had been verified over 50 years ago and were originally predicted by Birkeland almost 100 years ago! Studies of quasars in the early universe demonstrate the presence of large quantities of iron, casting serious doubt on the gas model in recent years. In addition, there is now growing evidence from the field of heliosiesmology that the sun possesses a significant stratification layer at a very shallow depth from the top of the photosphere. This new data suggest that the stratified iron surface is covered by a relatively thin veneer of plasma layers. It is also noteworthy that an electrically active, rigid surface model of the sun has always been a valid alternative to the current gas model theory. Only when hydrogen fusion was discovered did other solar theories begin to seem less "glamorous". It is important to note however that quite a bit of research has already been conducted by Dr. Birkeland, Dr. Alfven, Dr. Bruce, and many others that is now supported by modern satellite imagery and heliosiesmology observations. Sound interesting so far? Have some objections perhaps? Please read on. I will present a lot of evidence from the SOHO program in the form of raw DIT images and videos to support these ideas. I will also provide videos and photos from the Yohkoh and Trace satellites as well as other 21 century satellites in space to support these ides. Unlike the gas model of the sun, this model is based on direct, real life observations, not pure theory. A solid surface model of the sun is a lot more logical and a lot better scientifically supported "observationally" than current gas models of the sun. More importantly, current gas models of the sun simply do NOT explain the video images we see through SOHO and TRACE. This website is dedicated in humble appreciation of the incredible work done by the people at SOHO and Trace and Yohkoh. You can click here to download a PDF manuscript that has been offered for a general audience, and is more visually oriented. It is a condensed, and easy to read presentation of this material. You may also wish to download a more scientifically oriented presentation of this material that has been peer reviewed and was recently published in the Journal Of Fusion Energy. This peer reviewed paper details the growing body of evidence from the field of nuclear chemistry and from satellite technologies that demonstrate that the sun acts to mass separate the various elements in the solar atmosphere into distinct, mass separated layers. Recent findings of an unexpectedly large source of energy from repulsive interactions between neutrons in the 2,850 known nuclides has challenged the assumption that H-fusion is the main source of energy that powers the Sun and other stars. Recent findings from the field of heliosiesmology demonstrate the existence of a double sided stratified layer, that is located just under the photosphere. Just as we can see the transition layer of the surface in satellite imagery, heliosiesmology allows us to hear this same transition layer and even measure the thickness of the transitional layer. In this case they find a double sided, stratified layer that is centered at around .99R and begins at about .995R, or just under the surface of the photosphere. Heliosiesmology allows us to hear and verify what we can see in satellite images. This is a glossary of the pages on this website. This is an example of a "running difference" image of the sun's surface revealed by the TRACE satellite using its 171 angstrom filter. This filter is specifically sensitive to iron ion (FE IX/X) emissions and records a C3.3 flare and mass ejection in AR 9143 in 171Å on 28 Aug. 2000. The flare activity is caused by increased electrical activity as fast moving plasma sweeps over surface ridges, resulting in increased electrical activity on the windward side of the mountain ranges. This video describes a working demonstration of the cathode solar model which was first proposed by Kristian Birkeland. It demonstrates the kinetic energy heat source of the solar corona, as well as the Earth's aurora. These features are caused by cathode rays/electron beams which continuously stream away from the surface of the sun. The high speed electrons (called strahl) slam into various ions in the solar astmosphere and generate the solar wind. This "running Difference" image of the sun's surface was captured by SOHO. This NASA image was taken on May 27th 2005 at 19:13 using the 195A filter that is sensitive to iron ion emissions. These same complex visible surface structures are visible even days and weeks later. The surface can also be seen in raw satellite images. This close up standard image of the surface layer is provided by Trace using its 171 angstrom filter. This close up image shows remarkable surface detail and also shows a close up view of the solar wind created from the electrical arcs. These arcs create streamers as they travel through the sun's outer atmosphere of mass separated plasmas. The same remarkable surface detail is still clearly visible in the transitional region two and half minutes later although the lighting has changed slightly due to changes in the electrical arcs coming from the surface. Unlike in the running difference images, in "standard" close up images we can also see the base of the electrical arcs as they rise off the surface into the silicon plasma to form the familiar coronal loop patterns seen in the upper atmosphere. This Trace/Yohkoh composite image of solar moss activity on the sun's transition layer. The blue area of the image shows Fe IX/X iron ion emissions in the lower part of the arc that are visible to the Trace satellite using its 171A filter. As the arc reaches the warmer layers of the chromosphere, the arcs glow in soft x-rays that Yohkoh can observe. This composite image shows the flow of electricity through iron ion arcs that travel from sun's surface, through the relatively cool photosphere and into a warmer corona where the iron particles pick up heat and begin to emit soft x-rays. This is a movie animation of the overlay from NASA. The surface crust of the sun is mostly made of iron. It is likely however that the surface varies in iron content from one part of the crust to another. 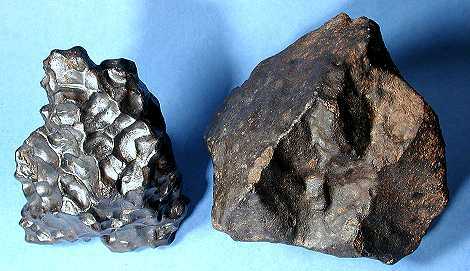 Parts of the surface may look much like the fragment above, while other regions along the surface may contain more iron and look like the fragments below. While mostly composed of iron, surface composition and iron content varies from one area of the surface to another. Just like the crust of the earth, the crust and surface layer of the sun is not homogenous. Dr. Kristian Birkeland produced results in his experiments with an electromagnetic cathode sphere in his lab in the early 1900's that mirror observations from the Yohkoh satellite. Notice the energy and the photon emissions are concentrated in the arcs in both images. Coincidence?